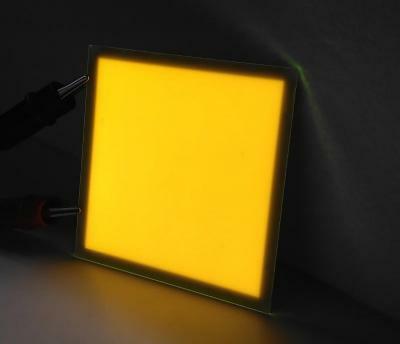 Yeolight Technology (which was spun-off Visionox in May 2015) developed a new bright Amber OLED panel. The panel's size is 85x85 mm (active area 76.5x76.5 mm) and its color temperature is 2000K-2600K. The efficiency is >70 lm/W at 2,000 cd/m2 brightness. The lifetime is over 20,000 hours. This new panel is still a prototype - but Yeolight says it can already be mass produced at the company's 2.5-Gen production line. 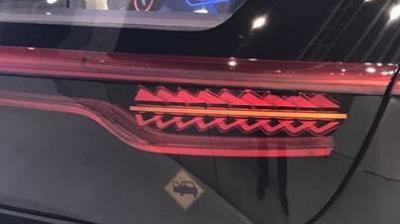 Yeolight also developed an automotive rear light module based on transparent red OLED panels. 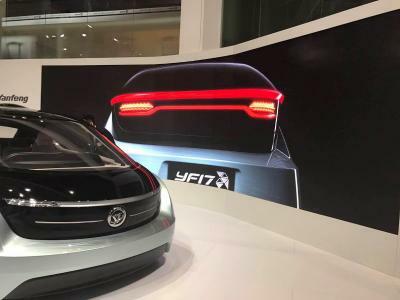 This panel was developed in collaboration with Yanfeng and was on display at the Shanghai Auto Show in April 2017, used by the YF17 concept car. The automotive OLED module consists of 36 different transparent panels, superimposed on each other, each shaped like a triangle. They are each controlled seperatly and Yeolight says this looks like "running water" (we do not have a video of this prototype yet). Each panel is 1.6 mm thick and the brightness is 1,000 nits. The transmittance is 40%. This is also a prototype module, but Yeolight does plan to start mass producing such modules soon.